Tori Sparks was born in Chicago, USA. Six years ago, she opted for a change of scenery and made the move from the country music capital of Nashville, Tennessee, to Barcelona, although she still spends most of her time on the road all over the world. Since the age of 17, she has played an average of 200 concerts a year in over 20 countries. Tori started her training as a classical musician at the tender age of three. She has studied musicology and anthropology, as well as other various instruments. She has played to 30 people in small clubs, and also to 30.000 people at prestigious music festivals. 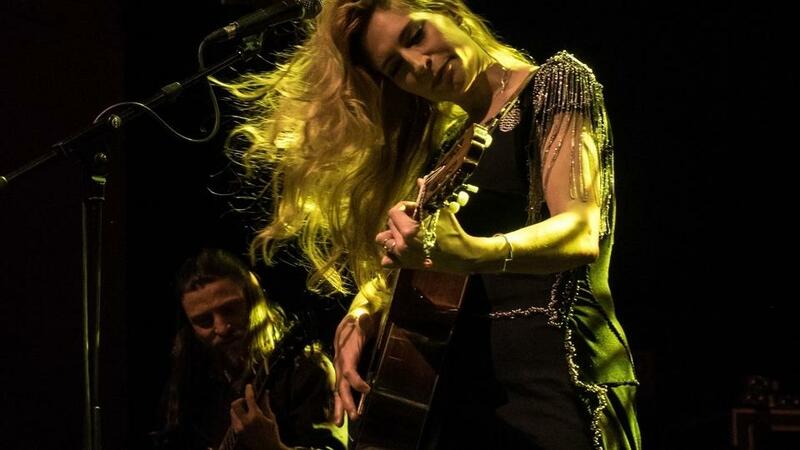 Her fifth album, ‘El Mar’ (in English, The Sea), was a collaboration with the flamenco fusion trio, Calamento, and was an international success, acclaimed by public and critics alike. Two years later, Tori Sparks and Calamento returned to the studio to record and release the follow-up album, ‘La Huerta’. In this interview, we delve in depth into how she feels about living on another continent, and especially how Barcelona has changed her life, both musically as well as personally. Can you tell me why you decided to leave your country and come to Europe, and more specifically, why Barcelona? A lot of people ask me the same question, what is this chick doing here? People have the impression that everything in the United States is better there, or that, just by living there, one is already famous, but that’s not the case. There’s a lot of competition, but on the other hand, the good thing is that everything is very professional. Business, studies… the downside is that there are so many people who do everything so well that you really need to have a great website, great video clips for paving your way, and neither is there a cycle or a government project to help or finance culture like over here. Things weren’t that bad for me in the United States. I had released three albums, but I was so very sick and tired of giving about two hundred gigs a year, normally, alone without a band, and I was extremely tired of the club circuit. I started playing in Europe and I liked the treatment given to artists, maybe because I was a foreigner, an outsider — I don’t know. And I decided to give myself a new opportunity, and before neglecting and putting aside music, I decided to try it out here in another way. I tried Paris because I knew the city as I had studied there when I was twenty, but the city had changed and I decided not to… I came to Barcelona to give an acoustic concert and I loved the city. What differences do you find between the two continents culture-wise? Physically, to the United States, the differences are very great, there are many cultures in one country but with a single language that unites everything… It’s is so much more homogeneous. In Europe, you find so many cultures that are so very very different in such a small area, which is very good as a life experience, but much more difficult on a business level, in countries such as Switzerland, where everything is organised an entire year in advance, and in countries such as Italy or Spain, where things are organised three weeks beforehand. Before coming to Spain did you know its music and culture? No. Before coming to Spain, I didn’t know about flamenco, but I must also tell you that it’s not the same thing listening to a record of something and seeing it live, where that style was born. For example, I went to Granada to study classical and flamenco guitar. I fell in love with the style and ended up merging it with my own. I never thought that I would incorporate that style into my work, into my music. Here, I have collaborated with musicians from many parts of Europe, from Africa, which in Nashville is unthinkable. 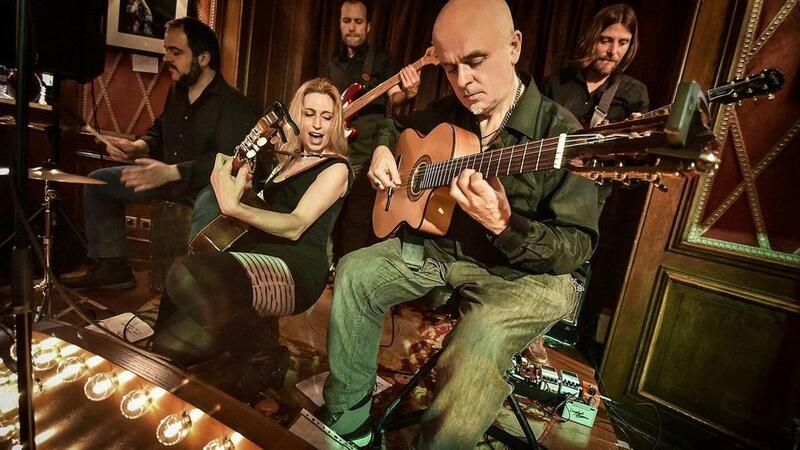 Here, I met El Rubio, the Calamento guitarist, a flamenco fusion group who have collaborated on my last two works and that would have been impossible if I didn’t live here. Living in another country gives you the opportunity to grow a lot. Could you tell me in your own words your definition of the city of Barcelona? I would probably choose a little bar which is behind the cathedral, called Babia. A very charming spot with good quality traditional food, with many paintings by artists who have eaten there and who have paid for their meals with their art. It’s a place where you can see everybody, artists, tourists, rich people, normal people, lifelong neighbours… It’s like a one big family. When night falls, the musicians and the people who are there are encouraged to play and unique entertainment is created and set up. How would you define the people and the lifestyle of Barcelona? The people… Now that’s a tricky question. On the one hand, I have never had such great friends before, Catalans or Spaniards. Alicia, my publicist, is great and without her, I wouldn’t have had a career here. There are a lot of good people, who treat me very well. But there are also other people who treat you worse for being an American. It is a city of contrasts, as there are super friendly people and others who are not very sociable with a closed mindset. For example, a woman, when I had been living six weeks in the city, insulted me as I did not speak Catalan. My experiences have been polar opposites, but much more positive than negative. What’s most difficult for me is that everything is improvised, everything is decided at the last minute. Also, here in Spain, everything is so very noisy… Here one’s family and lifelong friends are very important. There will also be things that, on the other hand, you dislike about the city, such as? Apart from the disorganisation issue that I mentioned earlier, another negative aspect is tourism. I live in the centre of the city, in the Gothic Quarter and it’s suffocating. There are so many people that it’s a nuisance, and I’m not even from here, but I also have to put up with tourists by the mere fact of living in the heart of the city. People are very fed up and are becoming quite rude to those persons who are the first ones who do not behave correctly, who are always drunk, causing a ruckus and vomiting… I understand the reason why people get angry. That’s the worst aspect about living in the city centre. Barcelona has many more things to offer culturally than cheap tourism and bachelor and bachelorette parties. Apart from the bar that we mentioned earlier, is there any culinary specialty you have discovered in Barcelona that you love? Octopus, since I have discovered octopus, I eat it as almost once a week… I also like lacón (shoulder ham) very much. Even if it sounds a tad wrong, wine here is much better and cheaper than in the United States. In general, the food here is very good, it is very varied and healthy, not quite so fattening as in the United States and therefore you can have 20 gin and tonics, as here meetings and business are done in bars and not in offices. Is there a club, disco or venue where you go to have fun when you don’t have to work? A venue that you recommend to go out partying in Barcelona? Many people from the music world go to Vinilo in the Gracia neighbourhood, and time and again, I end up there or somewhere in the Plaza Real. Although the truth is that if I’m not working, I don’t go out much. The Miró Foundation in Montjuïc, which I have been to several times and which I love… Not only the interior’s art, Miró has its very own style, but also the white building, its structure, very spacious, lots of light. Name a record store where one can find you buying vinyl records? There are two and I’ve been very lucky to have been able to play in both of them, at the Record Store Day this year. Revolver, a city icon with Jesus and his people, all of whom are very nice — always promoting live music and vinyl; and also Surco at Travessera de Gracia — as they say, the oldest record store in Spain, a site with a lot of charm. A place in the city that means a lot to you? There’s a family which has always been very good to me, they are almost family… They live on Paseo de Gracia and had a grandmother who rented that enormous apartment to single women who were struggling — much like a hostel. Women who worked hard during the time of Franco and, as a widow, seeing that these women were socially unprotected, she helped them in that way. It may seem that my friends are rich, but they were lucky being there, right in the heart of the city, with that underlying story — it’s something special. Moreover, in front of the house, there is a statue of an angel in a building and I always believed that, since I have arrived here, it is my guardian angel. Any city band that we should listen to? Is your musical career your number one priority ahead of your private or love life? Totally, I’ve seen many musicians lose it all due to love. I’ve been in this scene since I was 17, I’m 33 and I always knew that I wanted to dedicate myself to this. The steps that I will take in my life are all for my musical career, not love. When I left Nashville, it was to go away for good, and whether I stay here or not, it will be for very non-sentimental music reasons. I have suffered a lot just to get here. It’s difficult to find a man who knows how to be behind the throne, in a woman’s shadow.